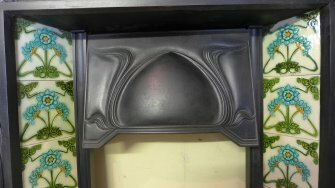 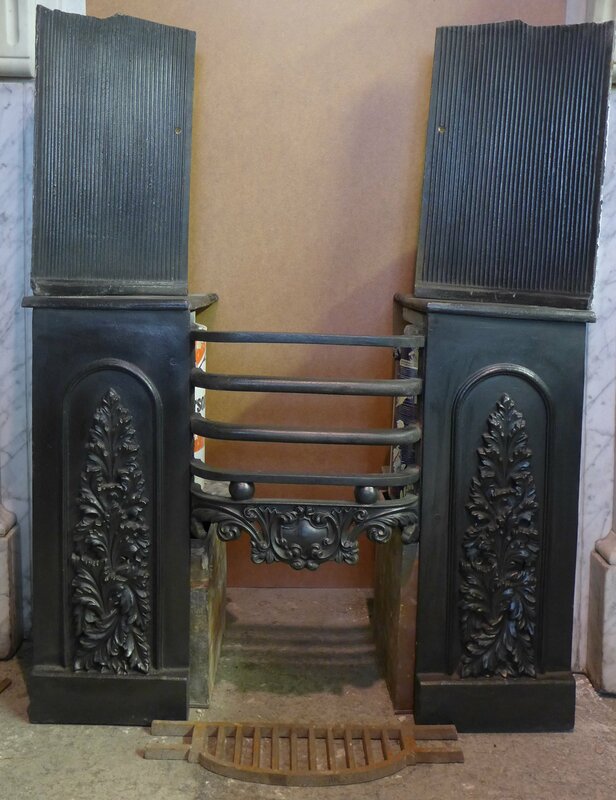 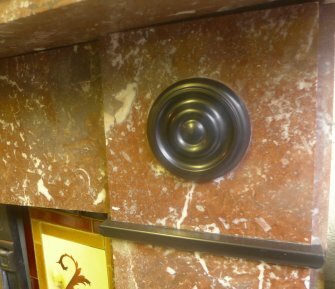 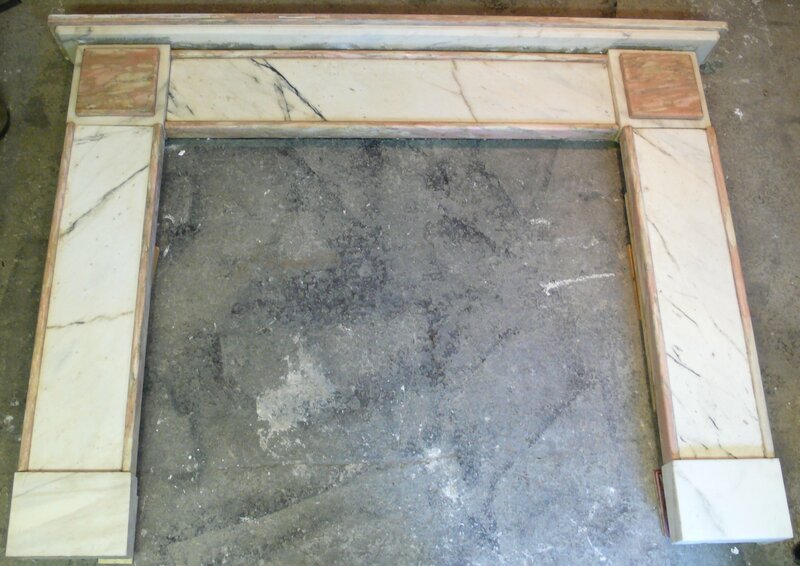 Rouge Marble Surround - 1890s Mantle width 68"
Same marble surround seen from the top. 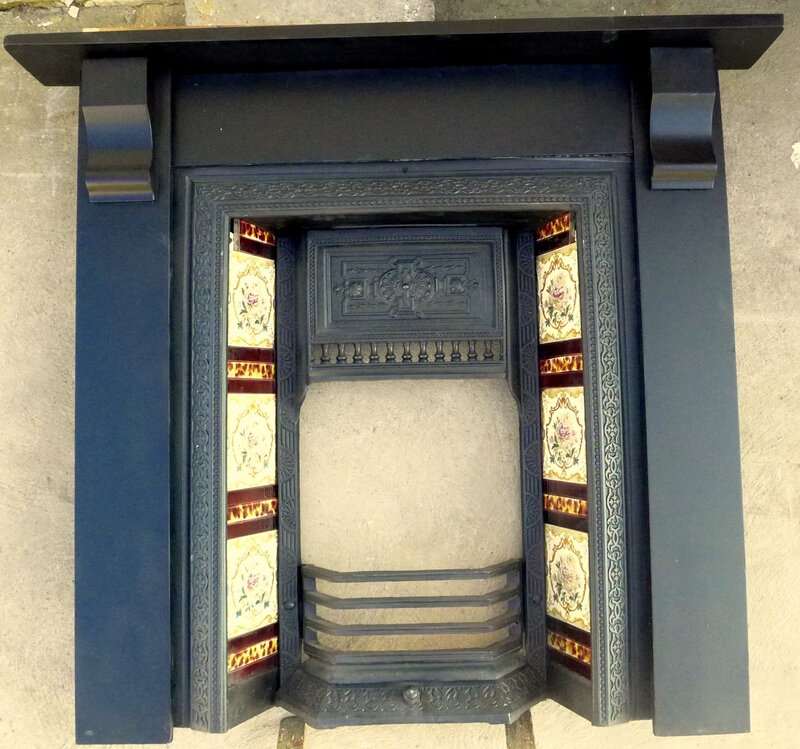 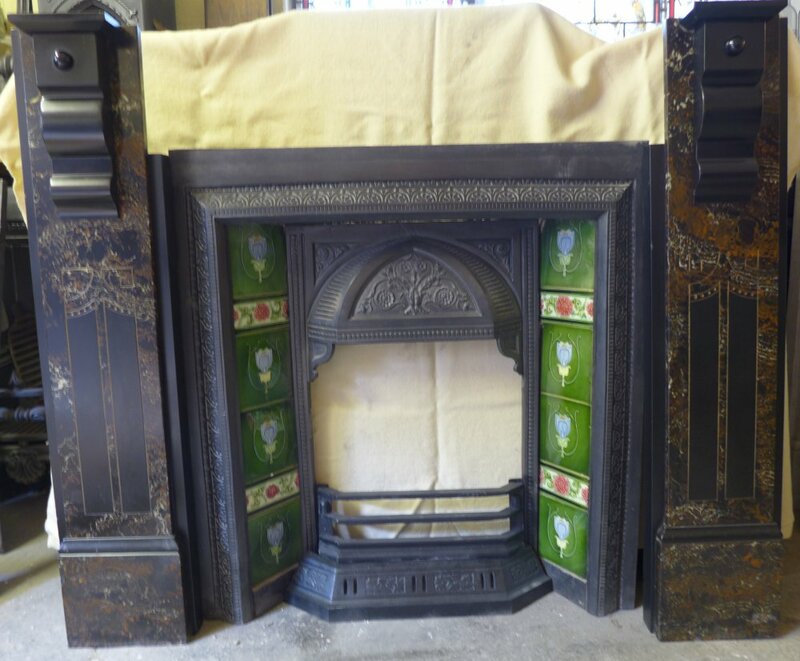 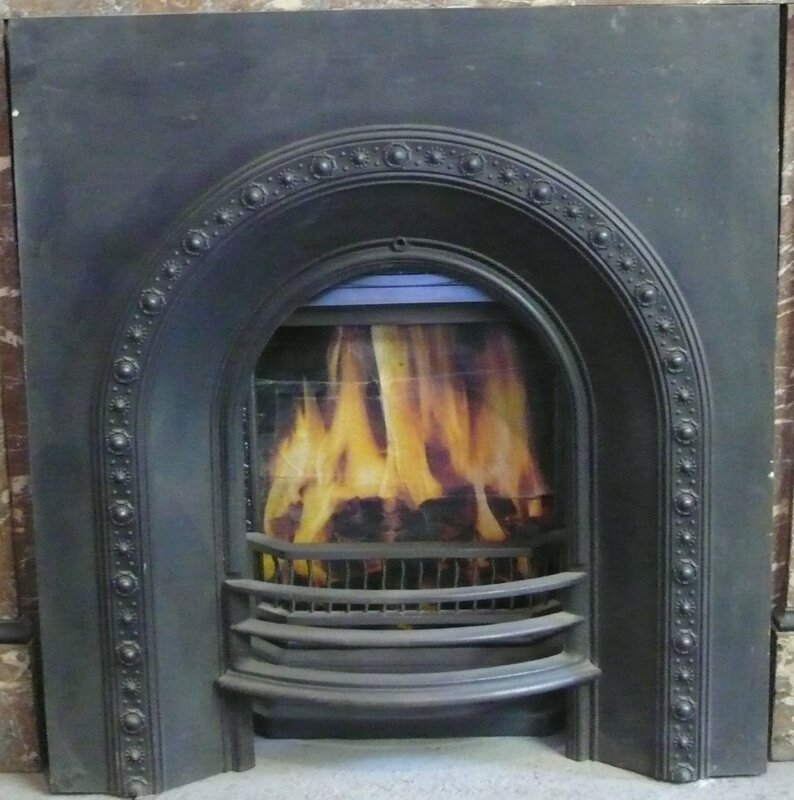 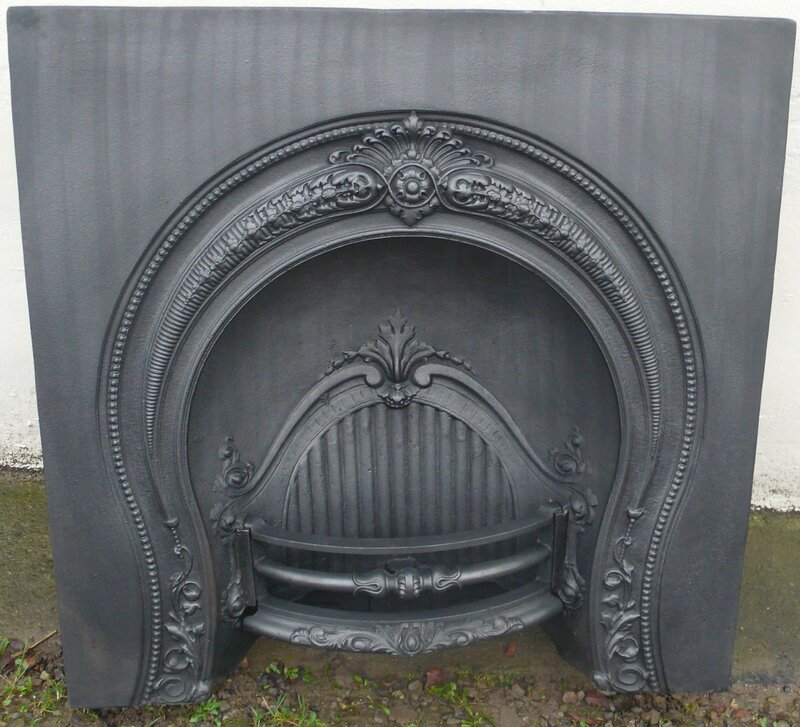 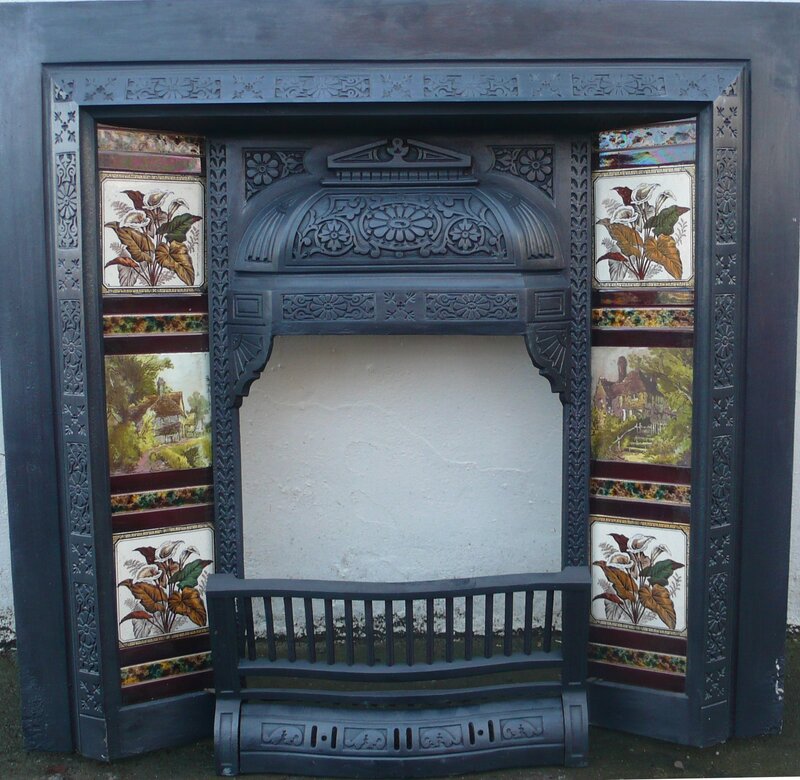 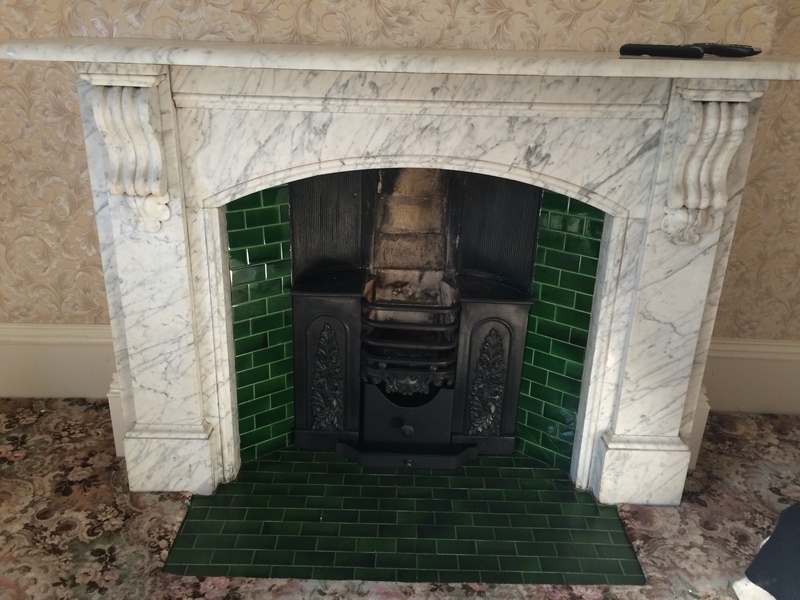 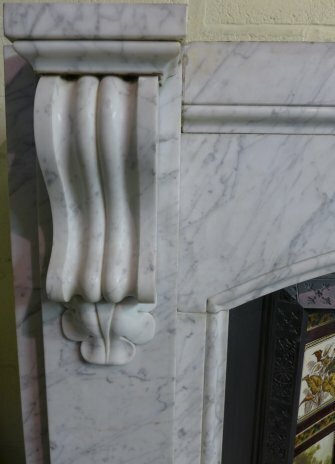 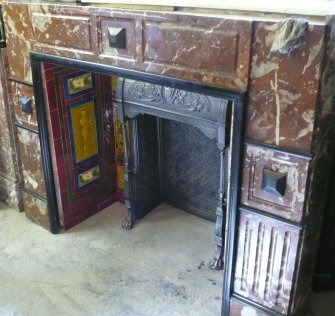 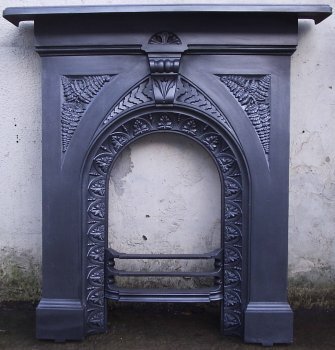 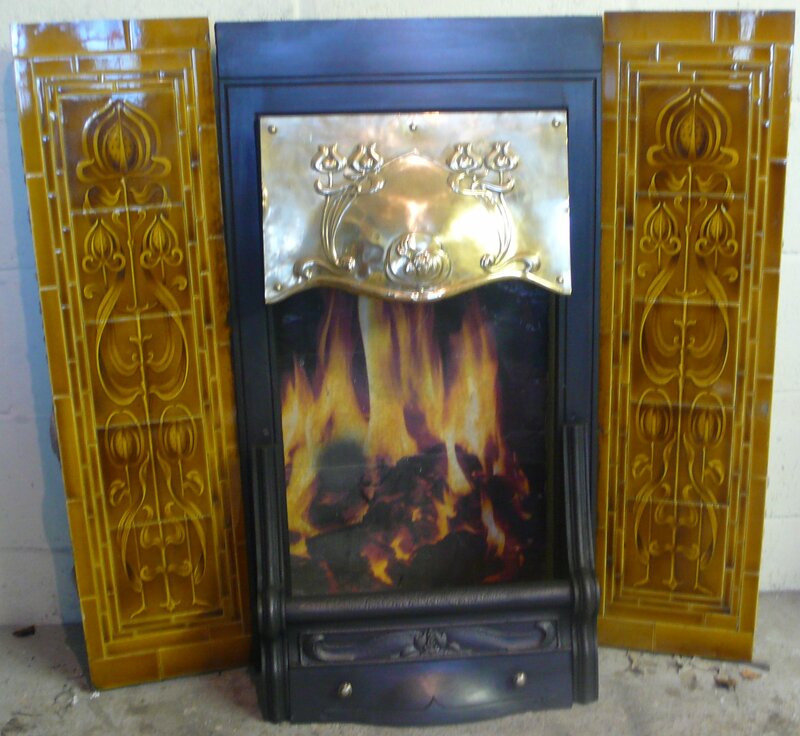 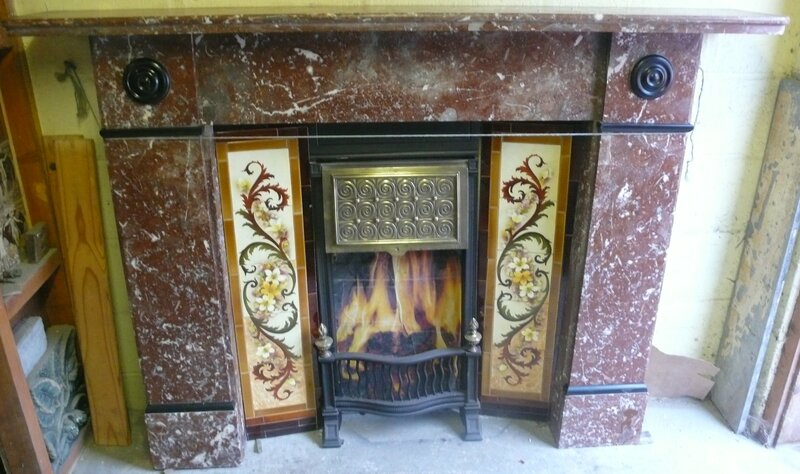 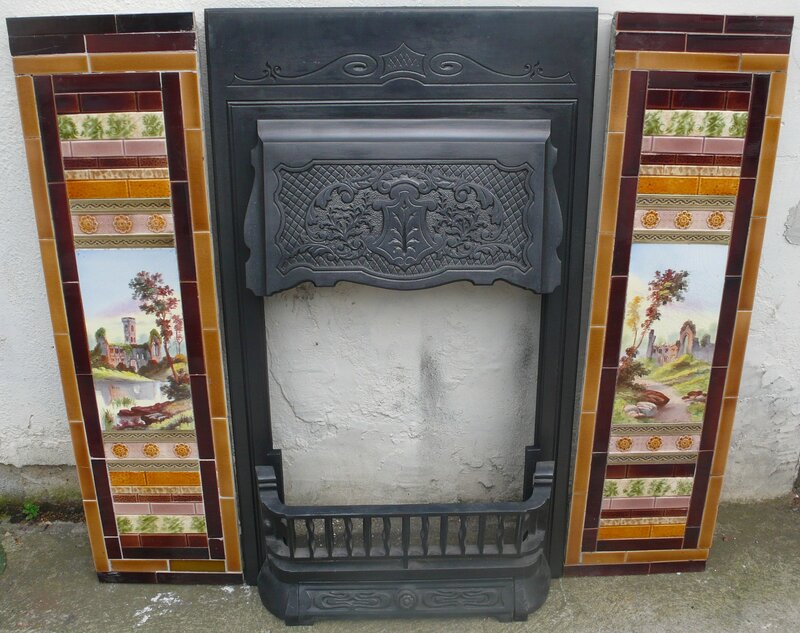 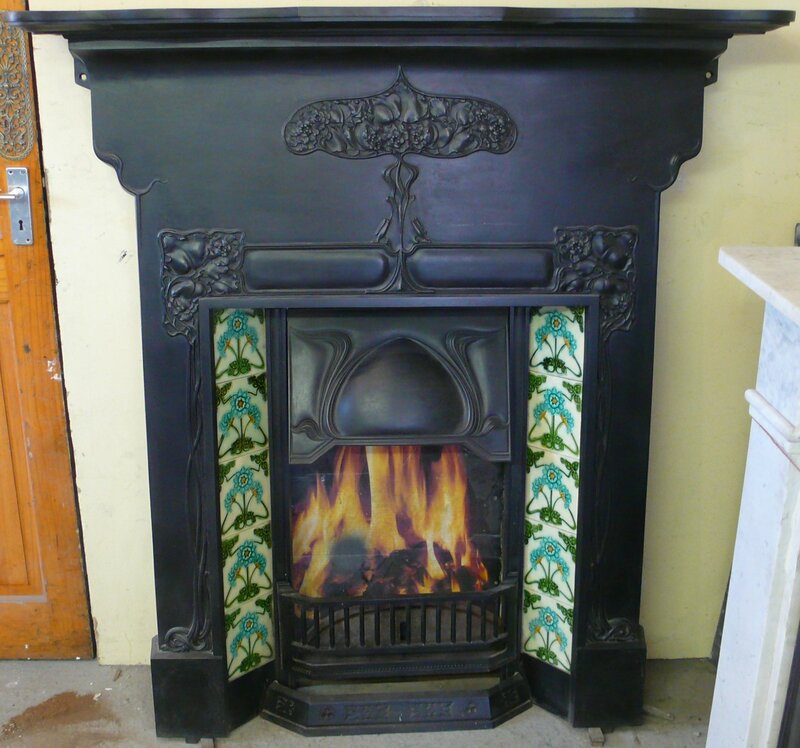 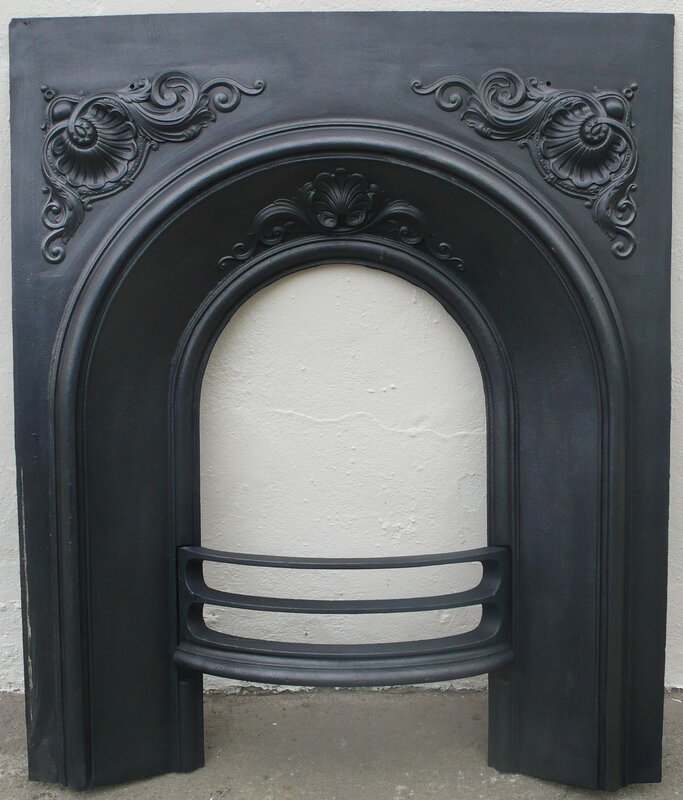 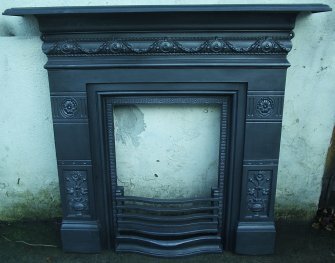 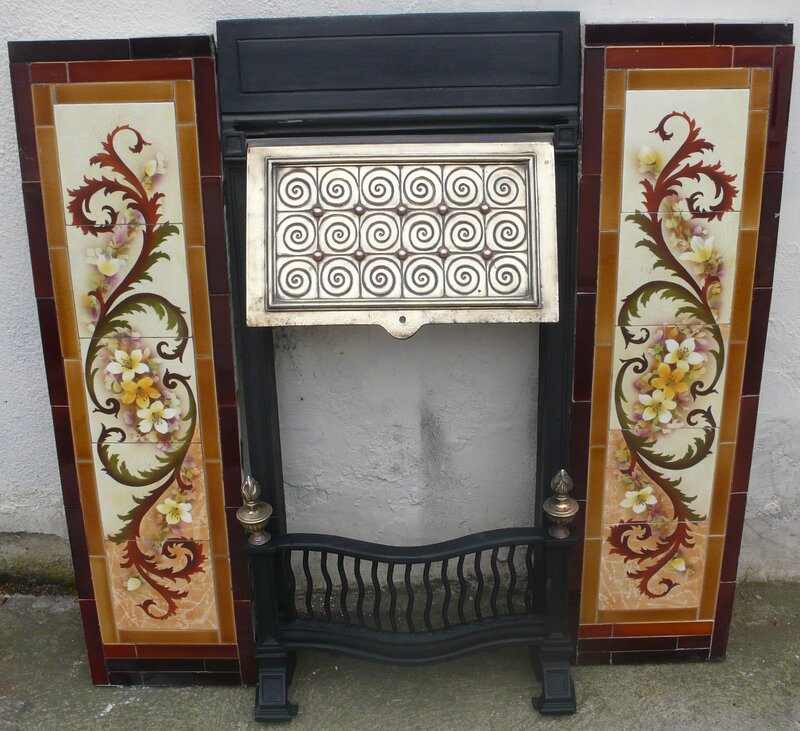 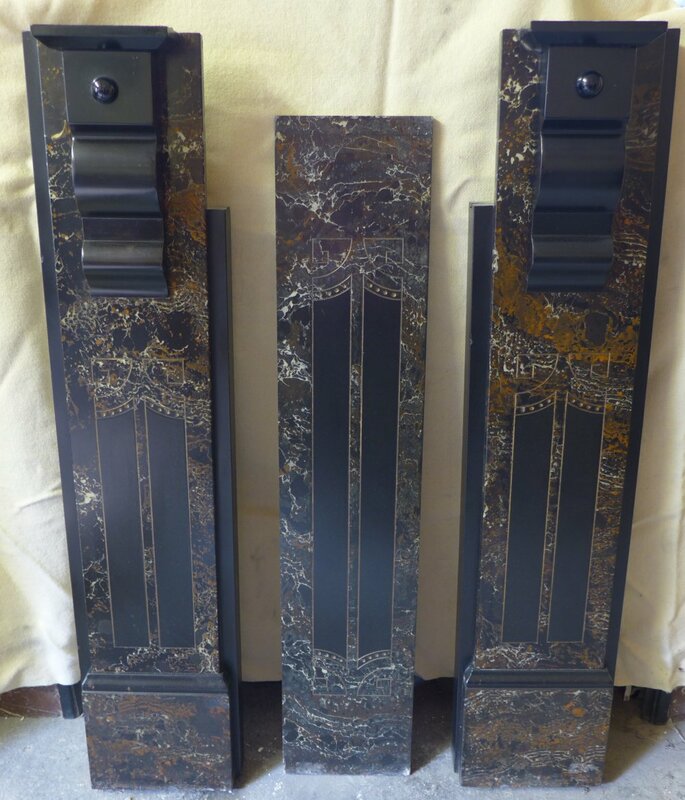 Unusual combination of antique pencil veined white marble with Norwegian Rose mantle & returns. 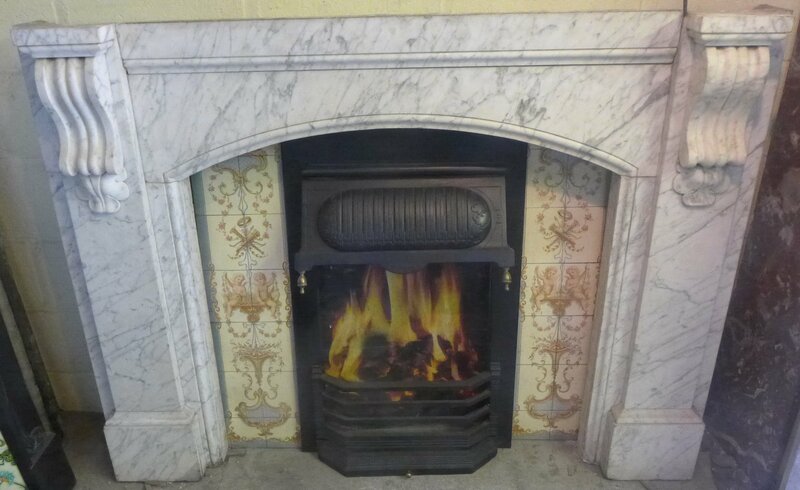 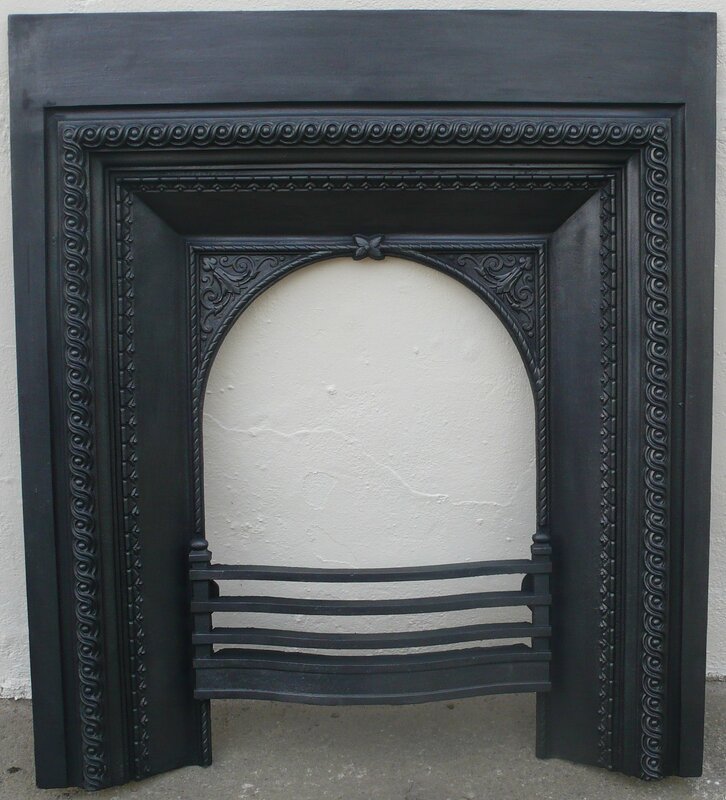 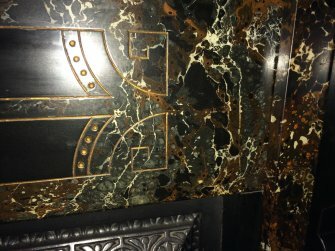 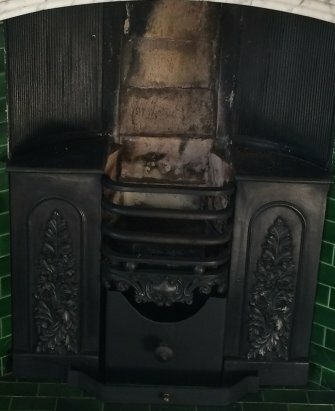 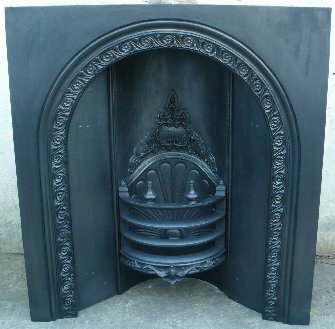 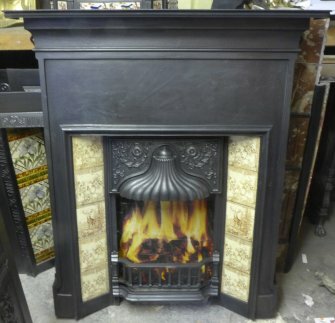 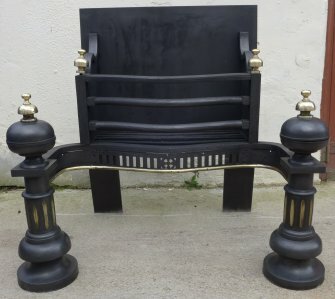 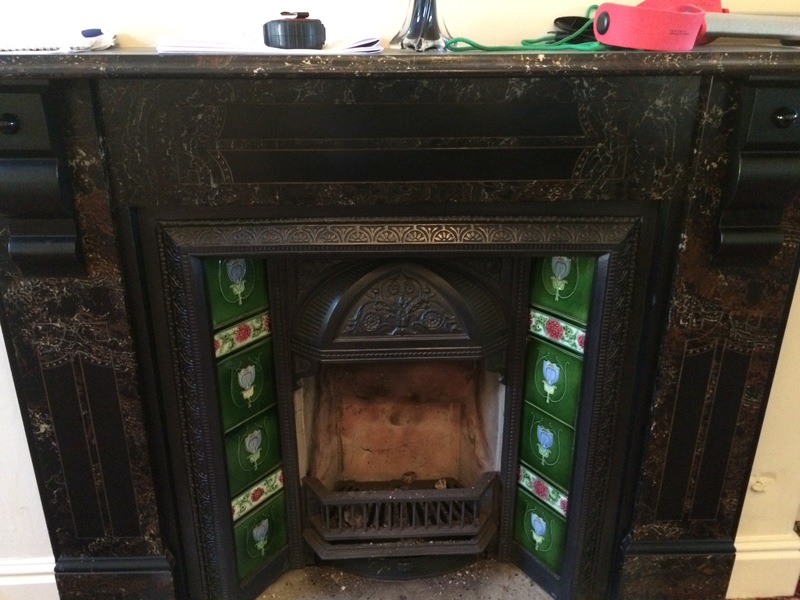 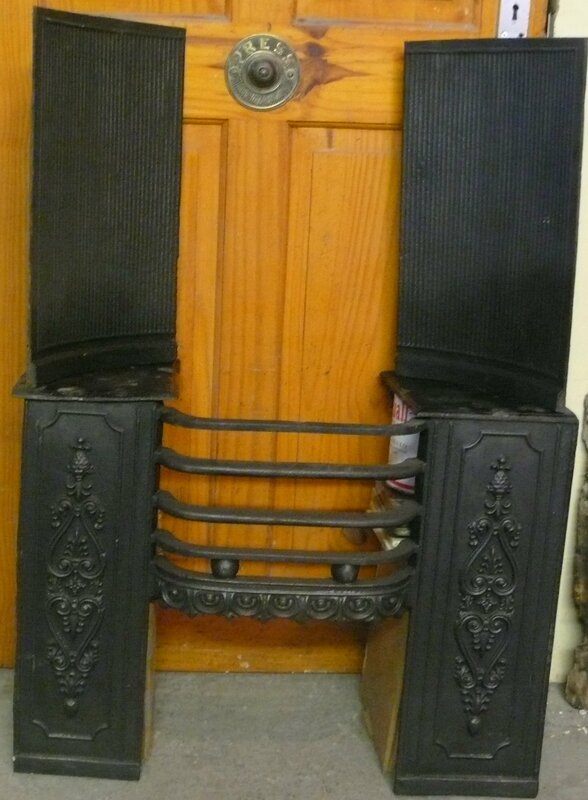 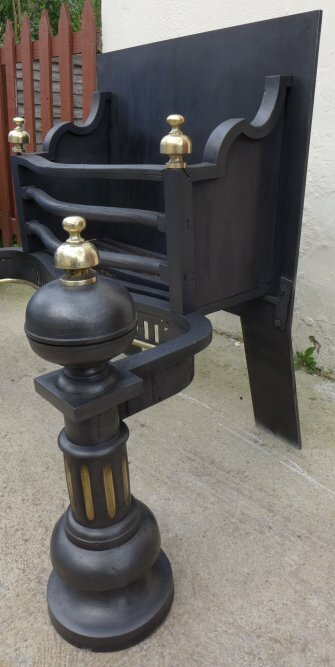 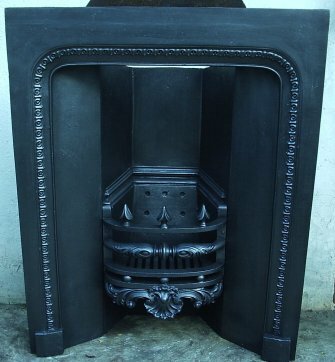 balance the mantle when it's not actually fitted - so this just show you the whole thing. 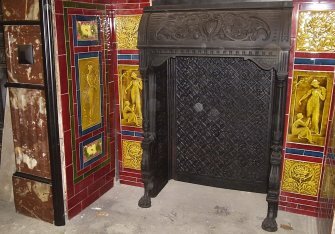 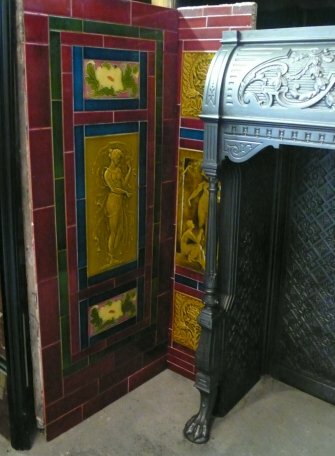 This shows close up details of the tiles on the left side. 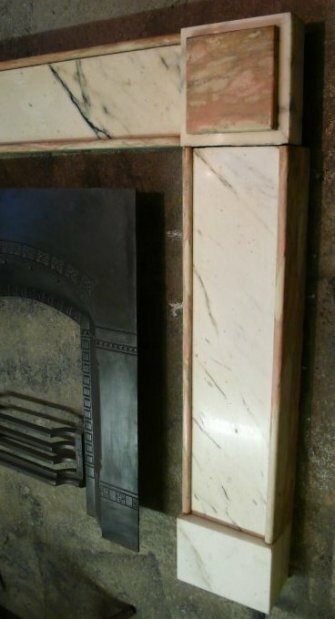 Tiled pannels 2 @ 18" x 38"
2 @ 8" x 38"
with an isert (not included). 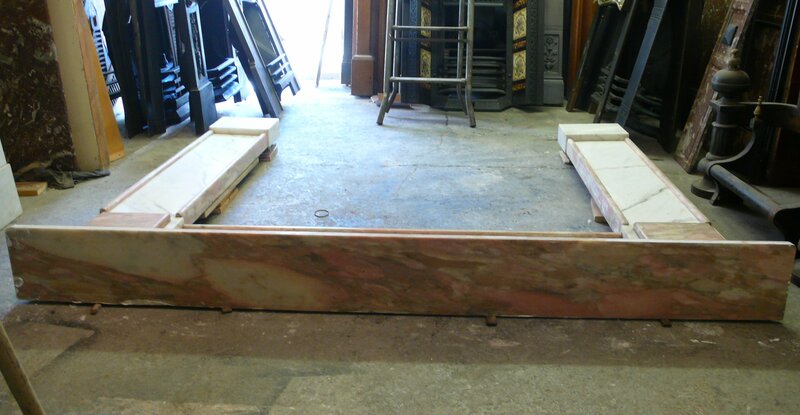 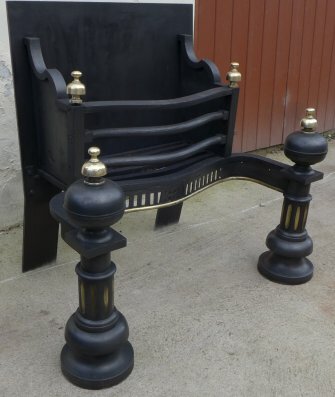 This had to be photographed lying down as the transom is too heavy to lift as it's backed onto stone! 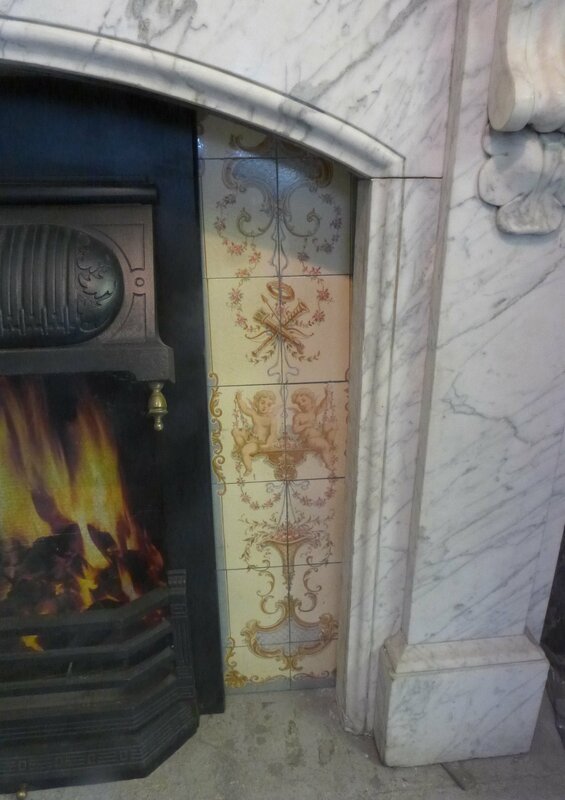 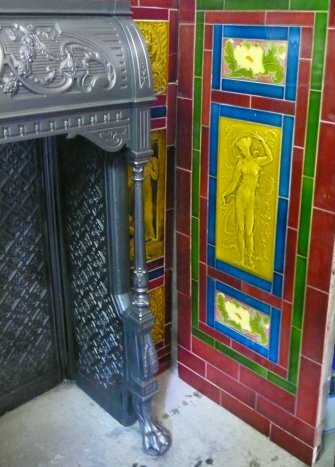 This shows close up detail of the tiles on the right side. 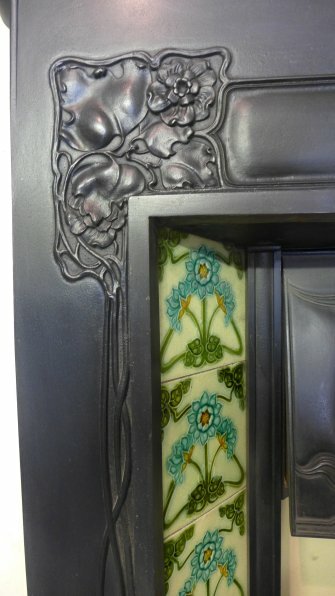 This shows close up detail of the corbel. 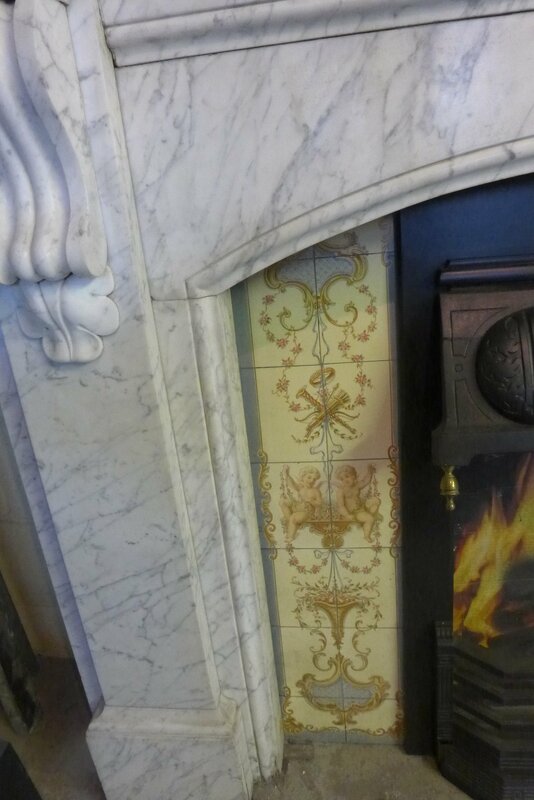 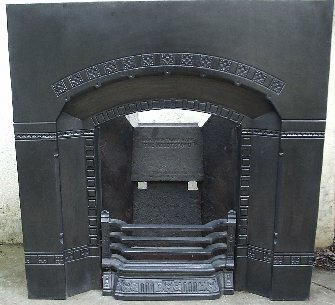 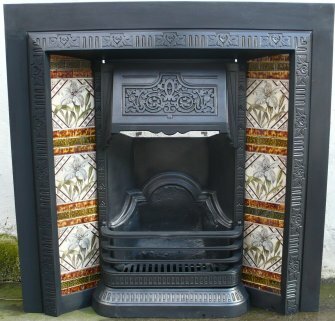 Detail to show the good condition of the marbleised slate. 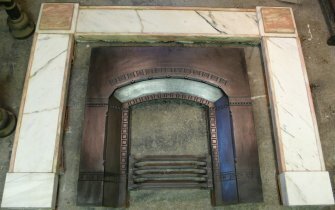 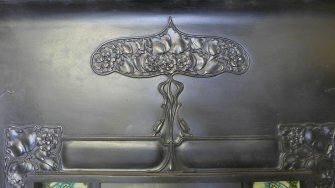 To top of hob grate 21.5"
To top of back plates 38"